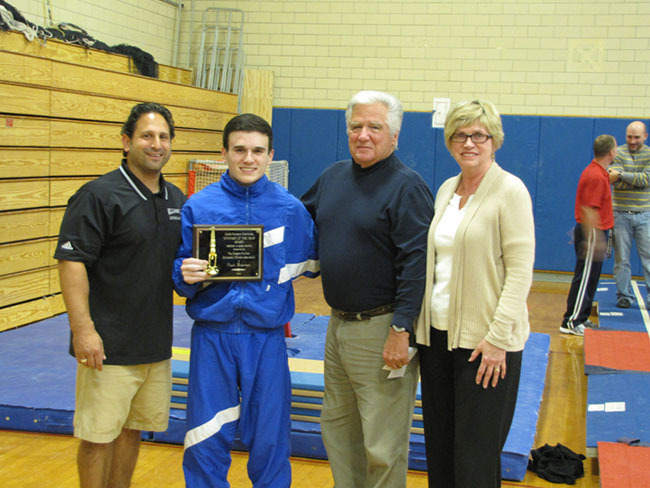 In August of 2015, it was decided by the NYSPHSAA to cancel Men’s Gymnastics. 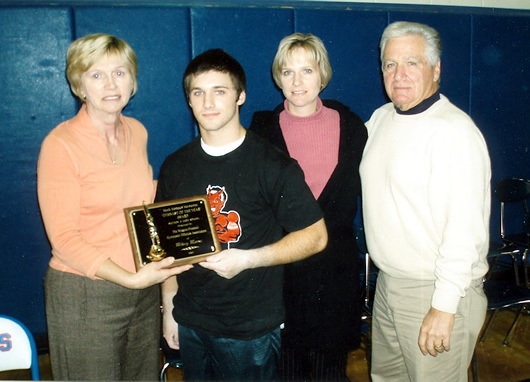 Mark loved participating in Section VI and it allowed him to proudly represent his high school. 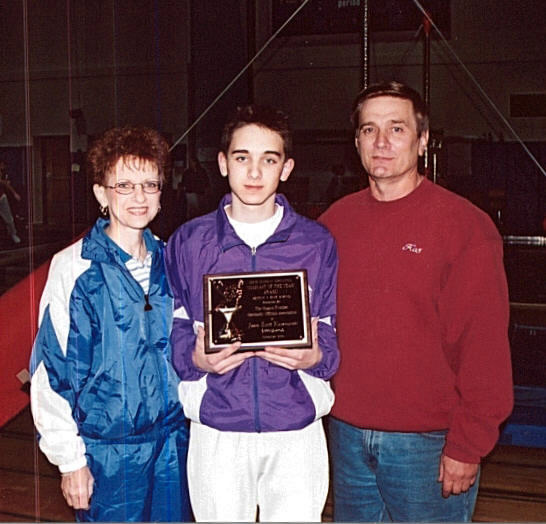 In 1998 when the coaches renamed the “Outstanding Gymnast” award to the “Mark Monaco Gymnast of the Year” award, it meant more to our family than they could have realized. 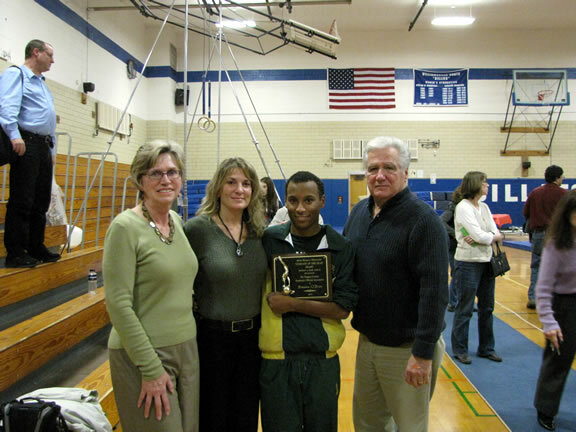 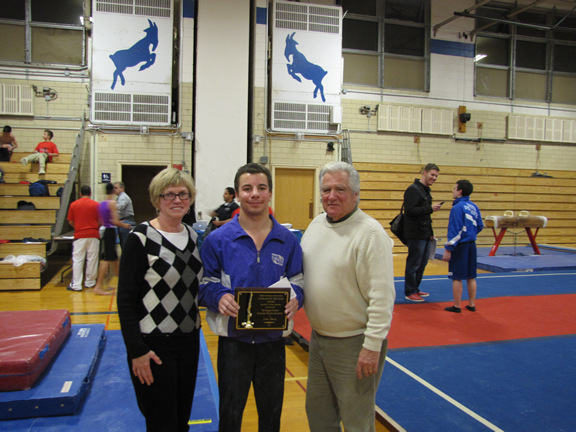 Through the years our family has attended the Men’s Gymnastics Sectionals and presented the senior gymnast selected by the coaches with a plaque and scholarship. 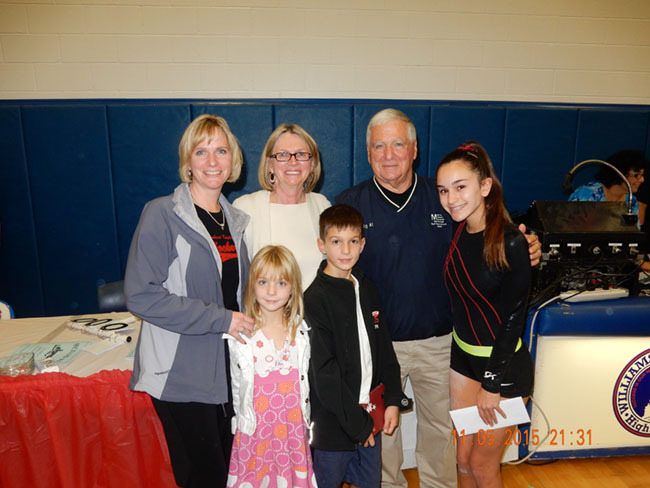 To continue Mark’s love of gymnastics, we decided to continue presenting the “Mark Monaco Gymnast of the Year” award and scholarship to a female senior gymnast selected by the coaches. 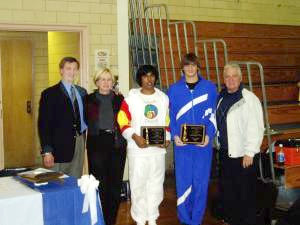 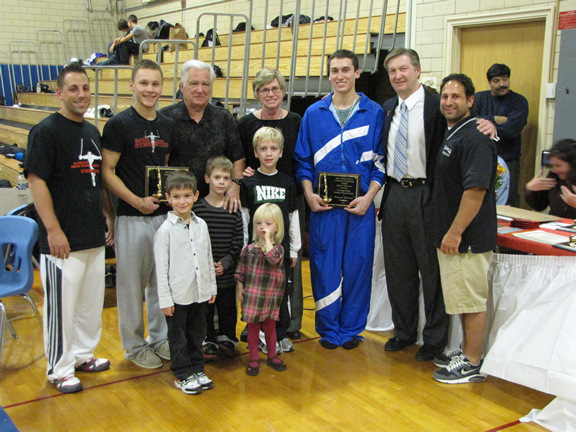 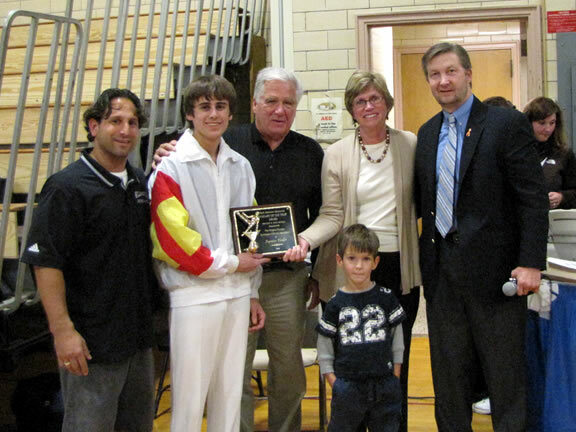 The award is presented at the Section VI Championships held in November each year. 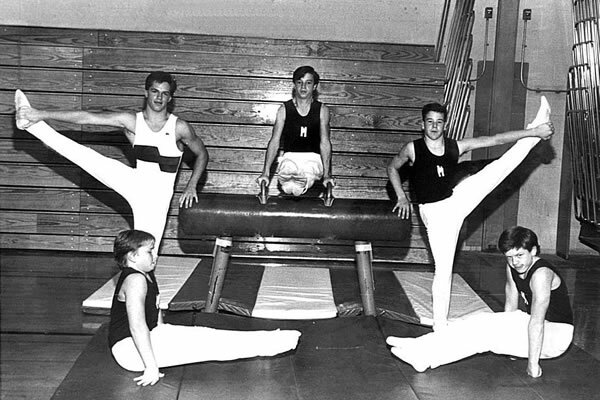 The Section VI Women’s Gymnastics consists of 12 teams. 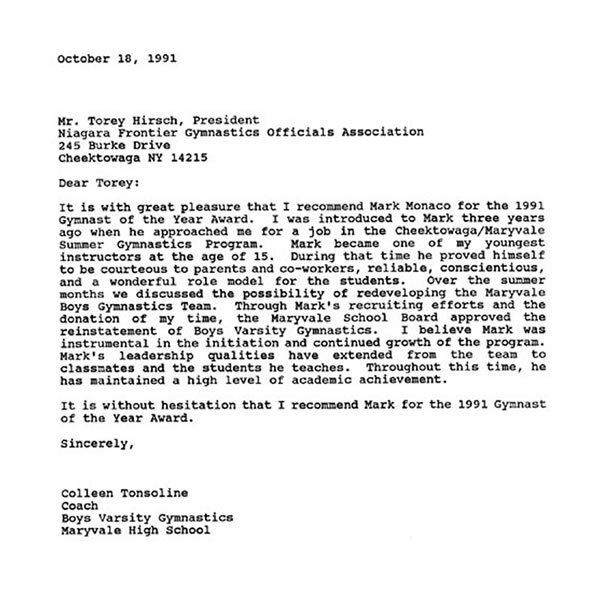 1989: Worked with Colleen Tonsoline to form a Boys' Gymnastics Team at Maryvale High School. 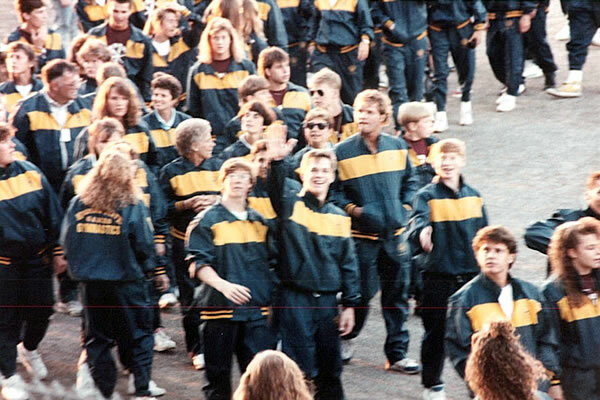 The team had been defunct since 1984. 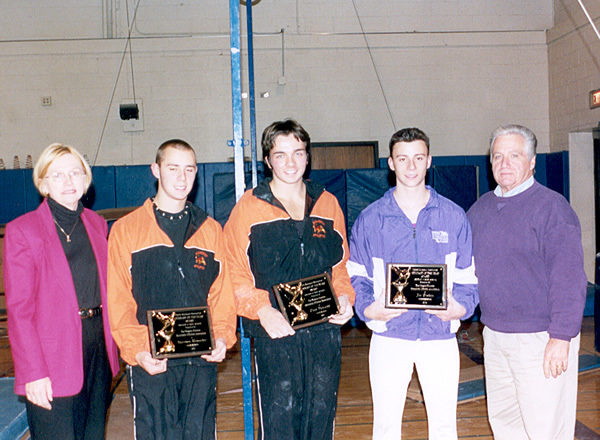 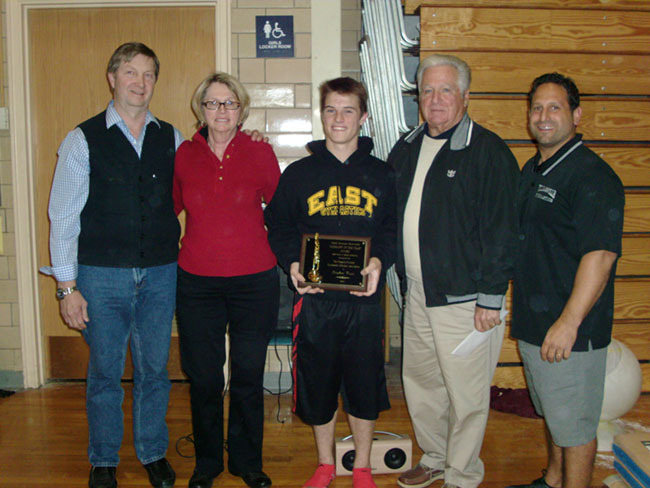 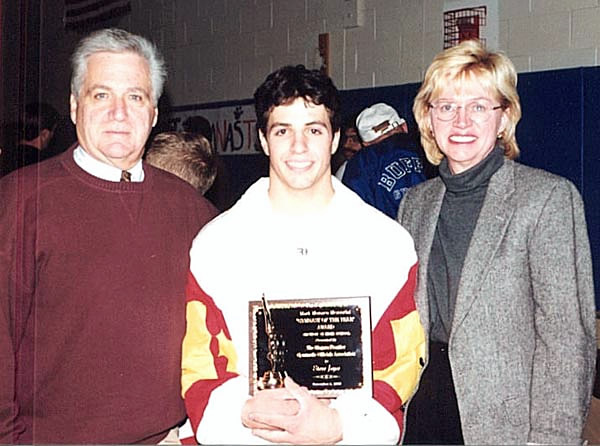 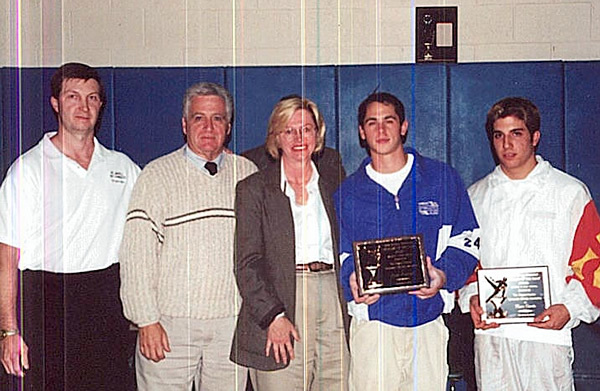 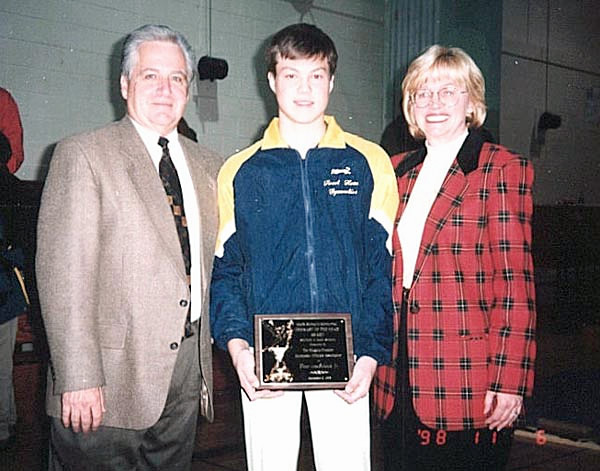 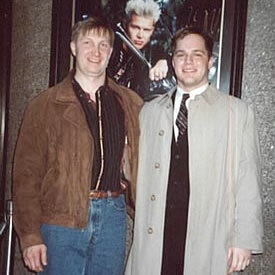 1991: Recipient of the Western New York Coaches "Gymnast of the Year Award"
In memory of Mark and his contributions to Gymnastics, Torey Hirsch, (pictured at left with Mark) established The Mark Monaco Memorial Gymnast of the Year Award in 1998. 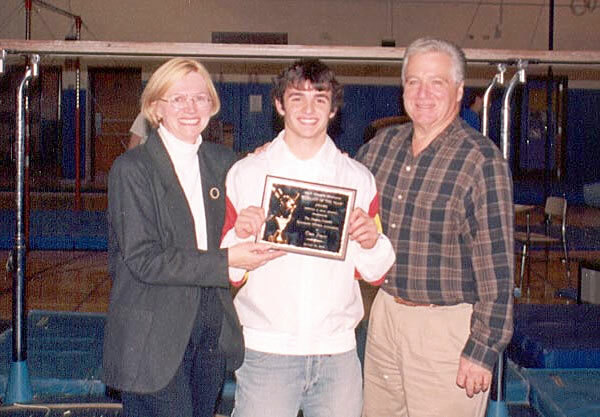 This accolade was formerly presented as the 'Western New York Coaches Gymnast of the Year Award' which Mark received in 1991.